Located on its own 6,000 acre private conservancy adjoining both the Maasai Mara and the Serengeti, and with just 10 luxury tents, Cottar's offers what is arguably the most private experience of any camp in the Greater Mara Reserve. Its classic white tents, antique furnishings, and silver service combine to create an authentic "Out of Africa" safari experience, complete with romance, adventure, and elegant luxury. 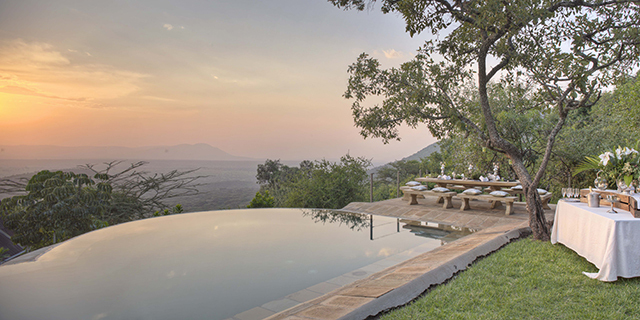 Situated less than a mile from the Maasai Mara Reserve, Cottar's enjoys the best of both world's, offering the exclusivity of activities on their own private conservancy but also quick and easy access to the Reserve when desirable (e.g. for river crossings during the migration). This remote and quiet south eastern corner of the Mara features varied terrain and habitat, and is home to most of the Reserve's rare black rhinos, providing guests at Cottar's an unusually high chance of seeing these endangered animals. The Cottar family has been integral to the Kenyan safari industry since 1919, and nobody prioritizes the quality of guiding more. Under the expert supervision of some of Kenya's top guides (and spotters), guests at Cottar's enjoy game drives, night drives, and walking safaris. 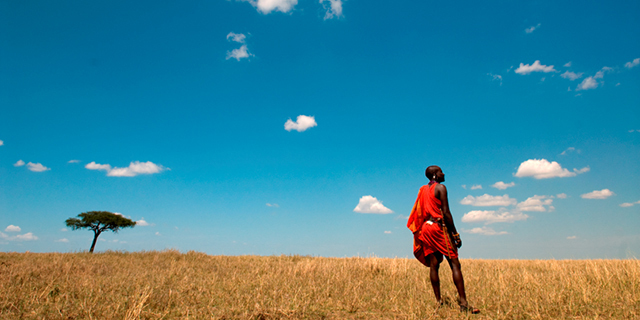 The Conservancy on which Cottar's is located is leased from the local Maasai community, and guests have the opportunity to visit one of the nearby Maasai villages for authentic and respectful cultural interaction. Cottar’s 1920’s Safari Camp recalls the original spirit and essence of 'safari,' a golden era of romance, professional guiding, adventure and elegance. This era of sophisticated luxury is perfectly reflected in Cottar’s two billowing “mess tents” designed for fine dining, sipping cocktails reading, and repose. Antique curiosities, gramophones, campaign writing desks, deep leather sofas, and oriental rugs abound. There is also a swimming pool and spa area where intrepid adventurers can rejuvenate after an exhilarating day on safari, as well as a cozy sitting room and fireplace for chilly evenings and after-dinner port. Guests are accommodated in ten graceful white canvas marquee-style tents, which are spacious and luxuriously furnished with original antiques from the 1920's. The tents boast private en suite dressing rooms and bathrooms (with vintage showers and flushing commodes), as well as furnished verandas. Every amenity has been considered, down to the liveried attentive staff. 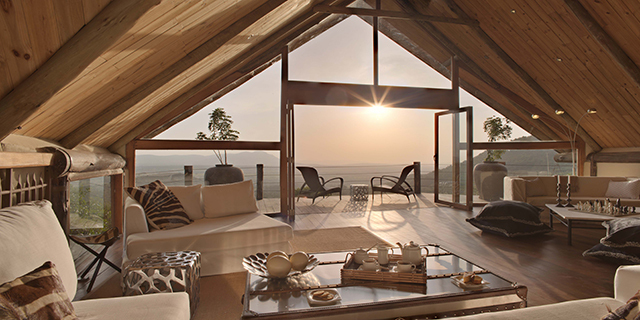 The exclusive Cottar’s Bush Villa is set high over the savannah plains that carry the great annual wildebeest migration. This exclusive retreat has been designed in an airy contemporary style and constructed by hand using indigenous materials, rich textures and a natural palette. The Villa is over 10,000 feet in size and features a large comfortable living room, dining room, a magnificent viewing deck, and five ensuite bedrooms, all with spectacular views. An 82 foot lap pool beckons during siesta-time, and a masseuse can be arranged. 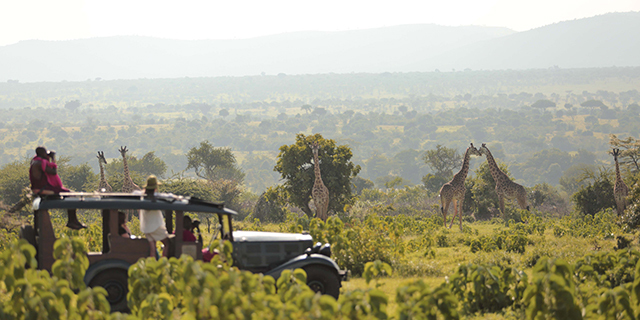 With a dedicated game drive vehicle and professional guide, guests enjoy private activities, including day and night game drives, bush walks, and fishing. Back at the Villa an attentive staff of eight ensures that every preference is catered for, unobtrusively and professionally. Cottar's 1920s Safari Camp belongs to a bygone era, when quality trumped all other considerations, and compromise was inconceivable. It's unique location (with unrivalled exclusivity), insistence on outstanding guides, and exquisitely elegant camp combine to create the perfect safari experience for hopeless romantics, and those who simply appreciate uncompromising quality.